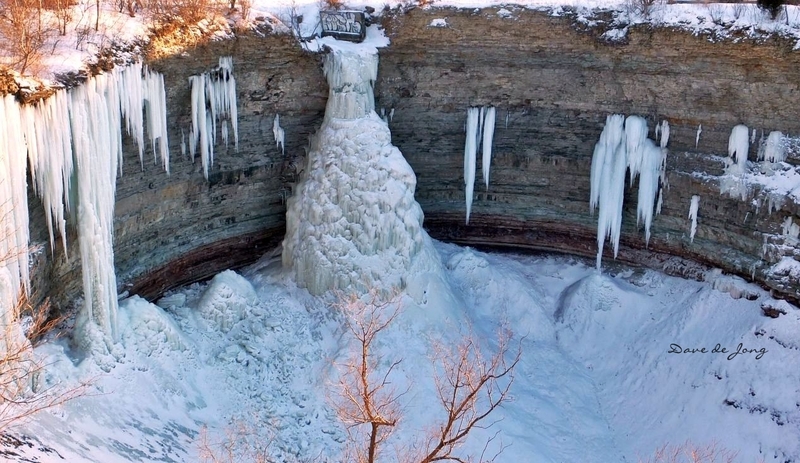 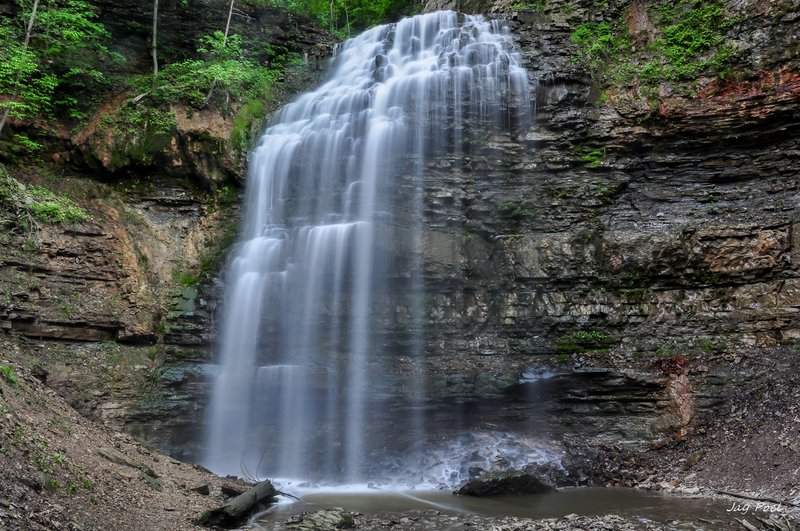 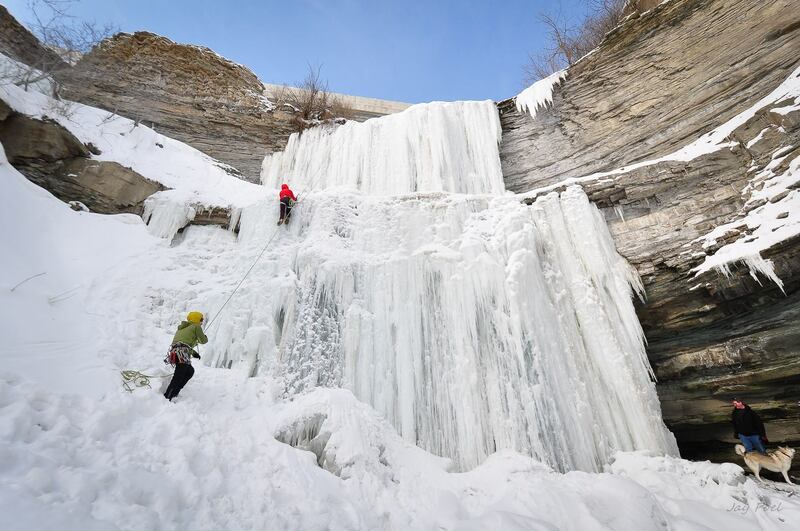 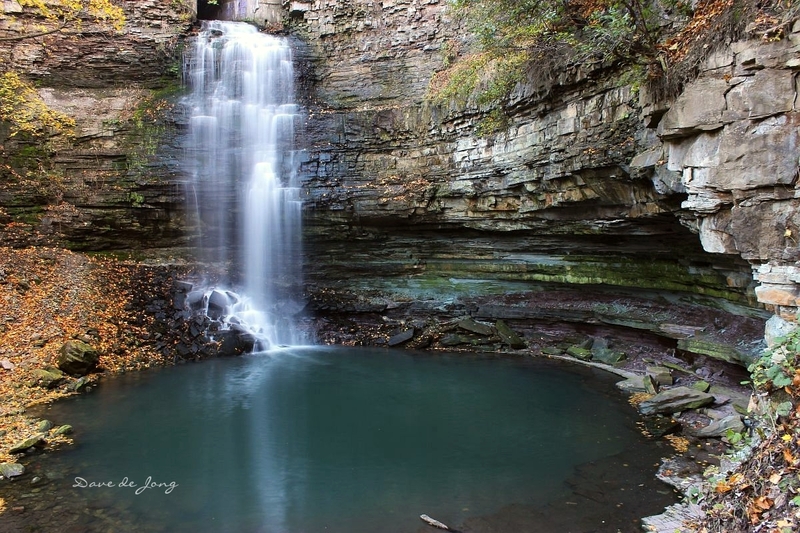 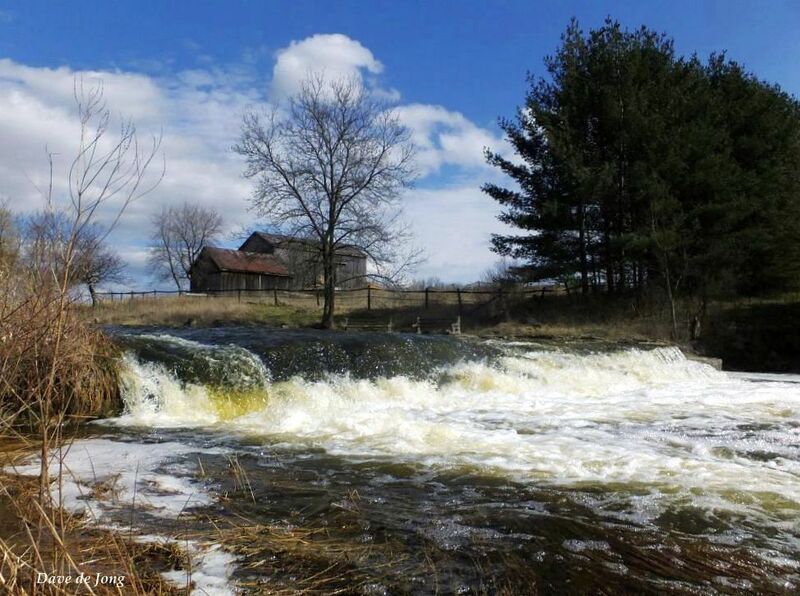 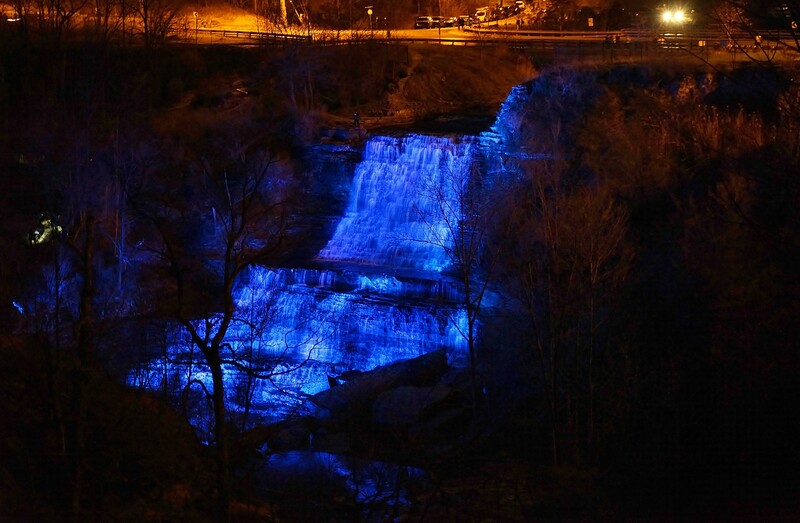 Albion Falls with her blue dress on. 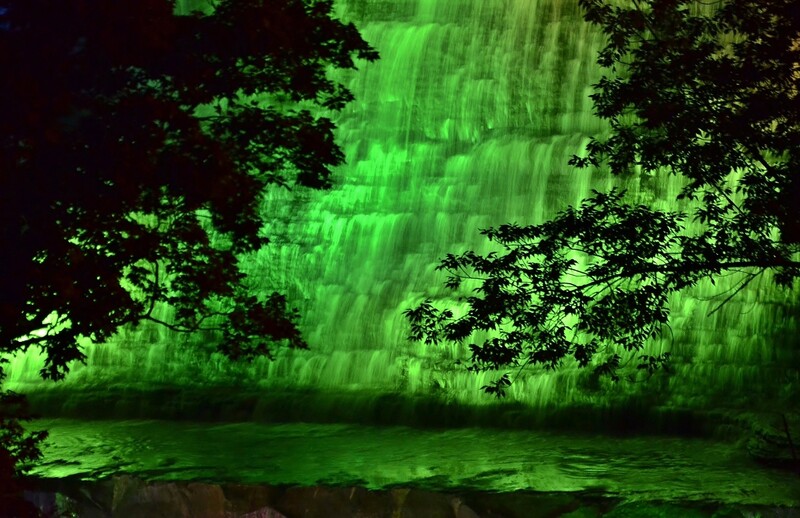 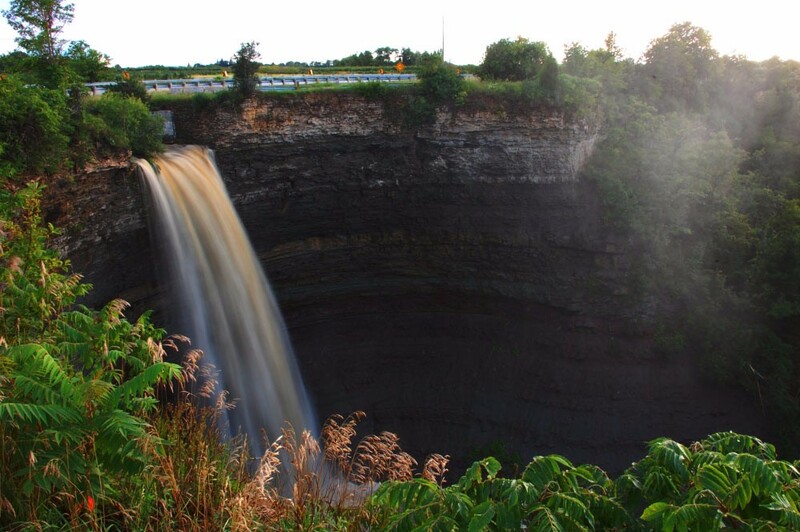 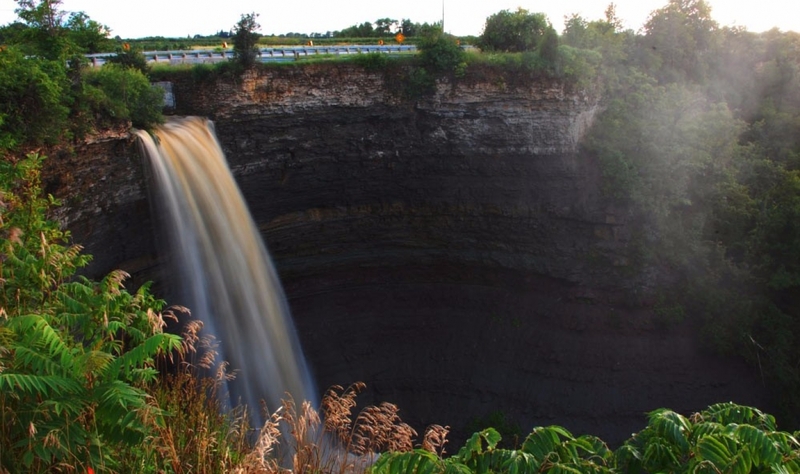 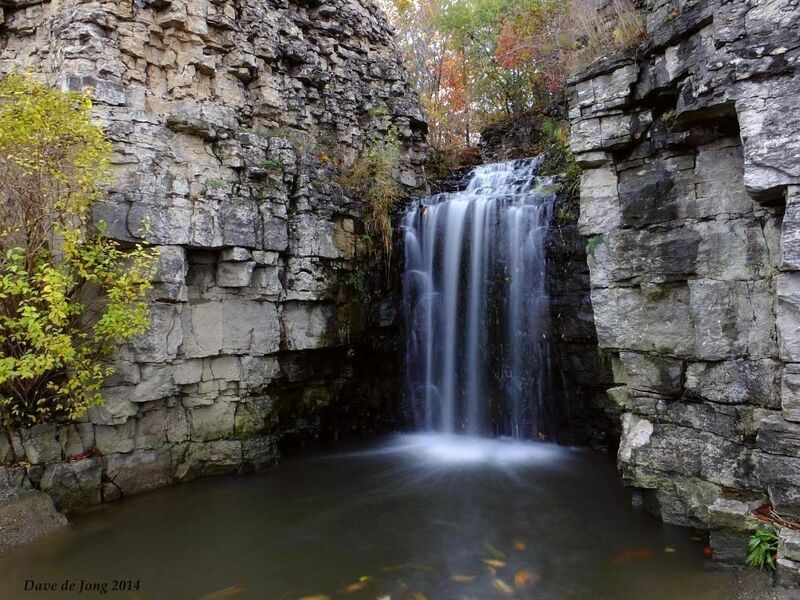 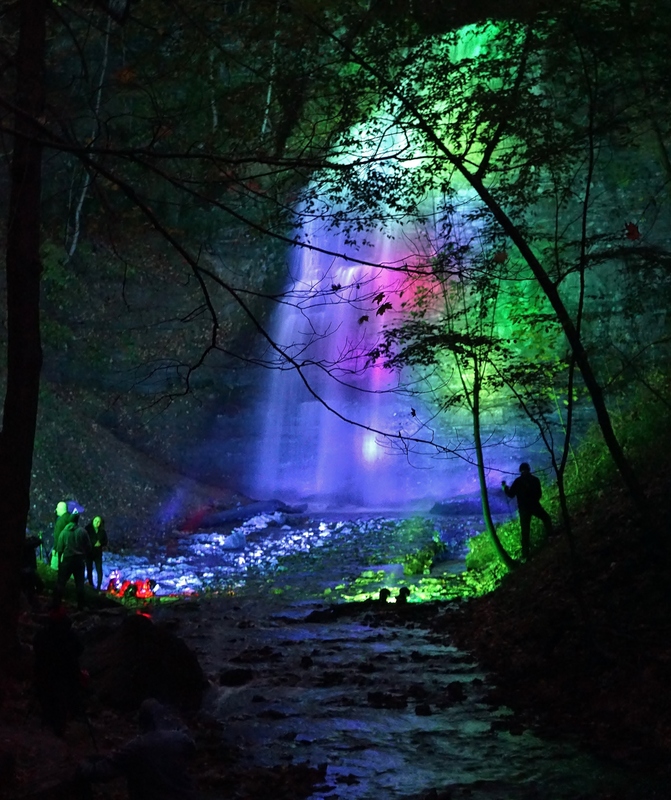 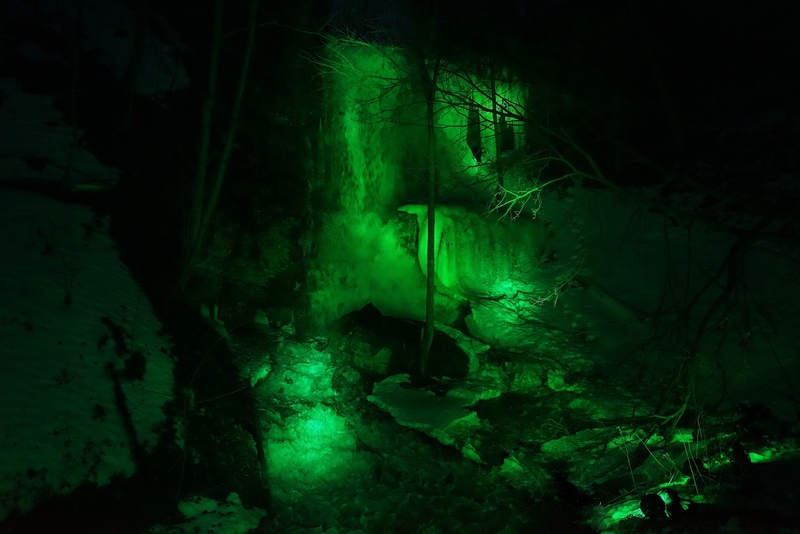 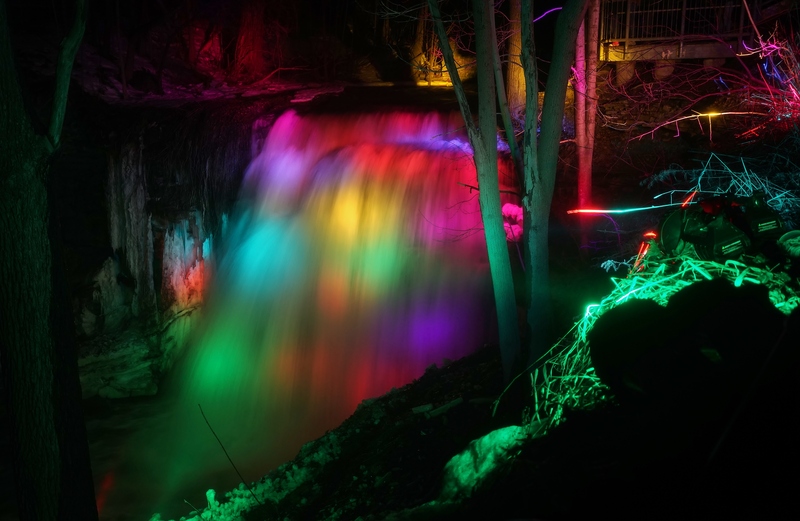 The upper portion of Albion Falls beautifully lit up in green. 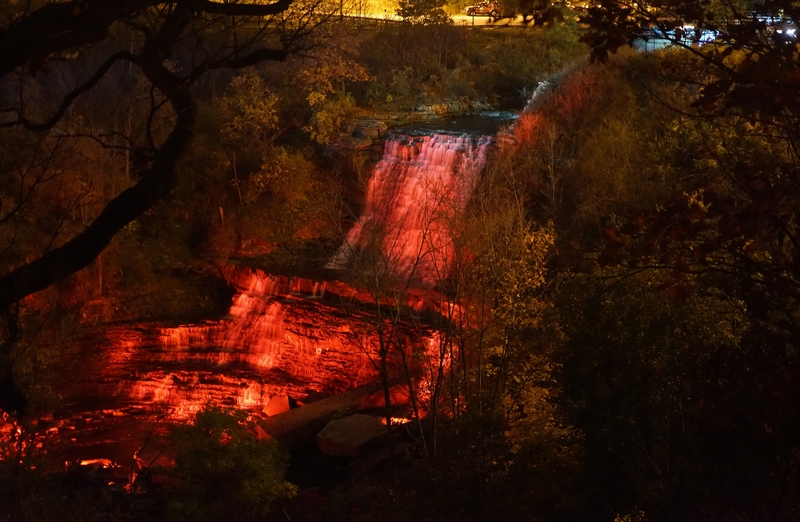 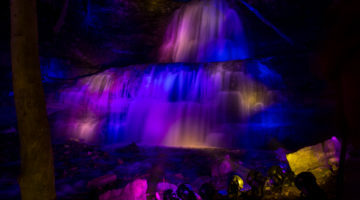 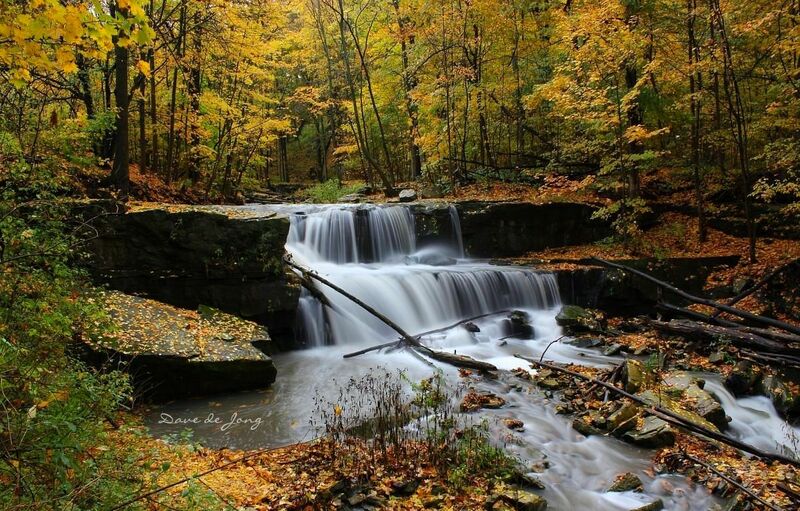 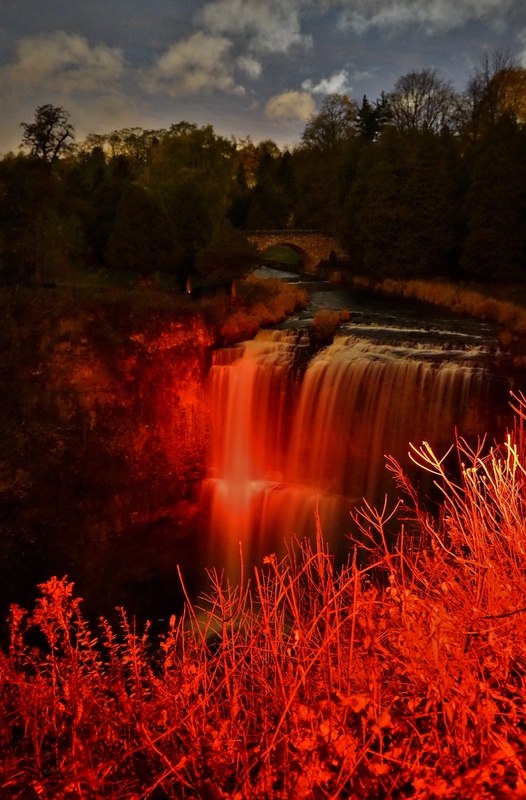 Tiffany Falls illuminated at night.